The Minister will be at the Liberty Stadium in Swansea for the official start-of-term event of two European programmes, the Welsh Government Rural Communities – Rural Development Programme 2014-2020 (WGRC) and the European Maritime and Fisheries Fund 2014 – 2020 (EMFF). The Deputy Minister will say: “UK membership of the EU is vital for Wales. 200,000 jobs depend on our access to the Single Market and the distinct benefits this provides in facilitating trade. “The European Commission and the Welsh Government have worked hard to design programmes that meet both our needs. That spirit of co-operation and partnership must now be taken forward in the schemes and interventions that will be delivered through the programmes. • The launch of the Sustainable Management Scheme to support collaborative landscape scale projects to deliver actions that improve our natural resources and delivers real benefits to farms, rural businesses and local communities. • A further Expression of Interest (EOI) window for the Food Business Investment scheme worth £14m to open on 29th February. • A second window for the Sustainable Production Grant, with a budget of £6m, three times the size of first window. • Another EOI window for the Rural Community Development fund, which aims to tackle poverty in rural communities, worth £4m. • A further £2.3m available for the Glastir Woodland Creation scheme as well as another £1m for Glastir Woodland Restoration, to help the forestry sector meet the challenge of Phytophthora Ramorum disease in larch. • The Timber Business Investment Scheme will also open later this month, to support proposals to encourage both active woodland management and increased value of outputs. The Minister added: “The Welsh Government Rural Communities scheme supports a wide range of investments designed to increase the sustainability and resilience of our natural environment, land-based sector, food businesses and communities. “More than £400 million of Welsh Government funding has been allocated to this programme over its lifetime. We have made good progress on this and many WGRC schemes have already opened, despite us only receiving EU approval some seven months ago, making more than £200m available primarily to farmers and foresters in Wales. “We are also supporting the fishing and aquaculture industries which make an important contribution to Welsh coastal communities. The European Maritime and Fisheries Fund, worth nearly 15 million euros to the Welsh economy, plus a share of up to 5 million euros for data collection, is designed to drive the sustainable development of our fisheries and aquaculture businesses, helping industry to adjust to the reformed Common Fisheries Policy and to provide support to Government and partners to meet our enforcement and data collection requirements. There will be more details on this opening over the coming weeks. Whilst welcoming today’s announcement by the Deputy Minister for Farming and Food, Rebecca Evans, of a second window for the Sustainable Production Grant Scheme; NFU Cymru warns that farmers feel that opportunities to access new support mechanisms remain limited. NFU Cymru President Stephen James said, “Whilst we welcome today’s announcement, the reality is that we are now two years into the new budgetary period for this Rural Development Programme (RDP). It is also over two years since the Welsh Government decision was taken to transfer the maximum amount possible (15%) from Pillar one to Pillar two in Wales – a decision unique in Europe. 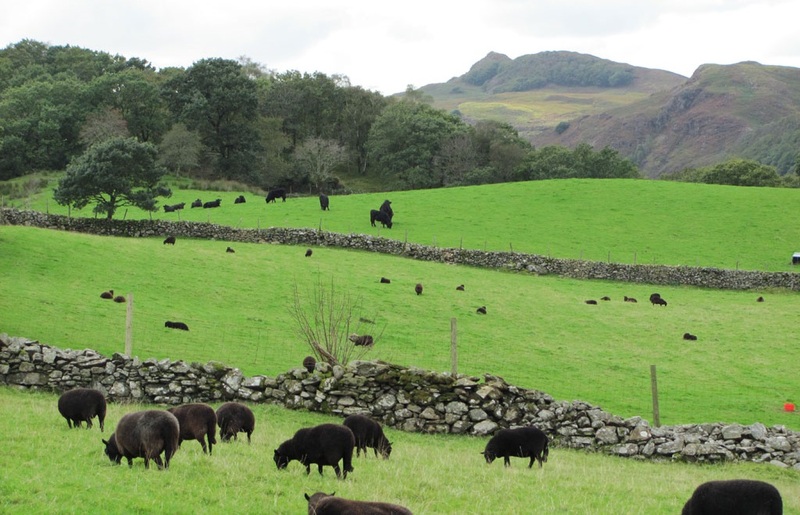 “Farmers in Wales will rightly feel that RDP investment priorities have, so far, been limited for the farming sector and they are increasingly concerned that the opportunities to access new support mechanisms remain limited. Welsh Government should also recognise that RDP implementation has to be set in the context of the extremely challenging market conditions experienced by all sectors during the past twelve months. The first Expression of Interest window for the Sustainable Production Grant Scheme, launched last July, received a budget allocation of £2m and supported just a dozen farmers. Mr James continued, “NFU Cymru is clear that strategic initiatives which deliver integrated on-farm investment support and advice, allowing widespread uptake, provides the strongest opportunity to deliver this. We therefore welcome news that the Deputy Minister is committed to working with industry stakeholders to deliver strategic initiatives in the coming months so we can move to the implementation phase without delay. “We are encouraged by the Deputy Minister’s announcement that a Glastir small grant scheme will be launched this year. This will allow many more farmers to undertake capital works that deliver environmental benefits on their farms. The opportunity to extend the Glastir commons contracts until December 2019 is welcomed and will allow those participating to plan for the future. “However, we are disappointed that Welsh Government has opted not to open a window for Glastir entry for 2017. This will be particularly concerning for the 1,600 or so Glastir entry contract holders with contracts ending at the end of this year.